When you decide to travel to Israel and are looking for tours around the country I can recommend you to use Abraham Tours. I have had an amazing time and got many lifetime experiences through them. 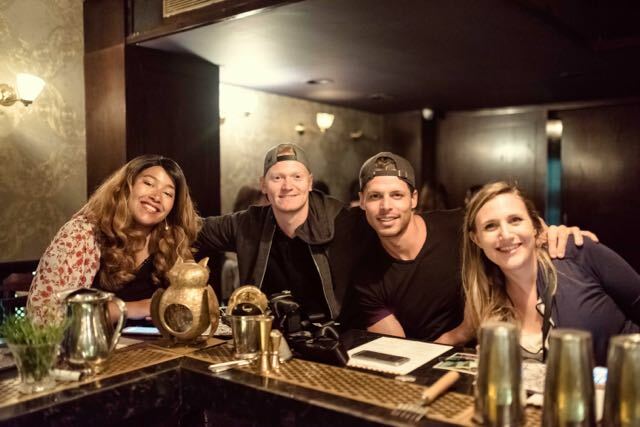 As the same company also owns some of the most popular hostels in Tel Aviv, Jerusalem and Nazareth their groups consist of cool adventurous travelers. So are you looking for cool group trips and some unique things to do in Israel check out the following tours. Buy a Israel sim card online and connect to the internet as soon as you land, click on the link for more info. You might not expect a dip to be healthy but hummus is actually pretty healthy and originates from Israel. With every meal you will get a plate of hummus either as a starter or as a main dish. It is pretty normal for Israeli’s to have a Hummus lunch, just some bread and a bowl of hummus. 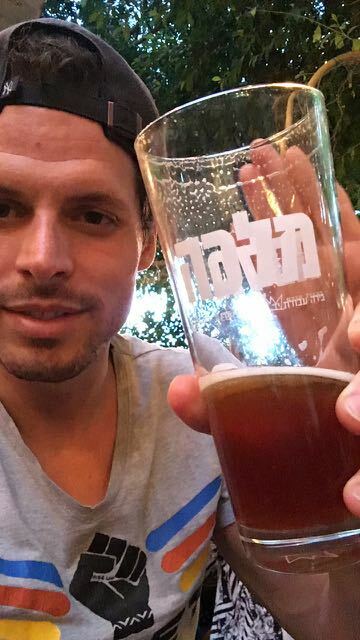 There is even a popular Instagram account called Hot Dudes And Hummus, check it out if you are into it before your trip to Israel so you know what to expect. 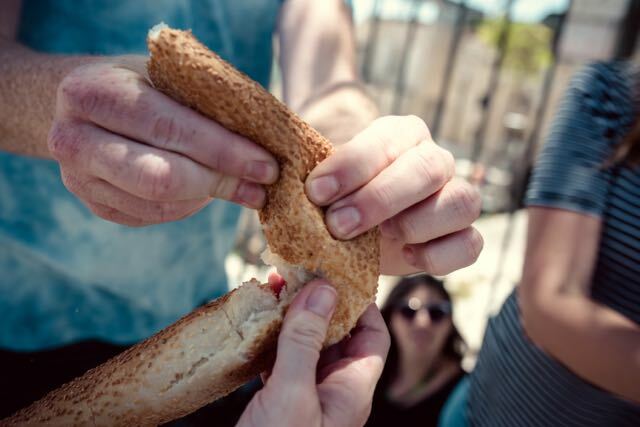 Click here for a cool food tour through Tel Aviv. Looking for unique things to do in Israel? Click on the link for 8 not so standard activities like: ATV riding and a hot air balloon. 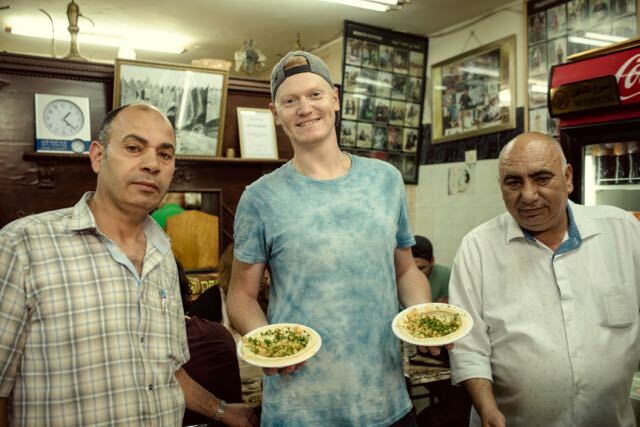 A trip to Israel is not complete if you didn’t try 281 dishes in 1 week! I am a big fan of 9 small plates on the table and dipping your bread or vegetable in all of them. A good thing to know before you travel to Israel because ordering a main dish for yourself is weird! :) Israelis love to share food and expect them to order a lot of different things and just try everything. Ordering a main dish just for yourself will frown eyebrows. Food has rules in Israel as far as that counts for religious people. You will often find restaurants stating that they offer ‘kosher’ food, which basically means they stick to the rules of the religion, It is something like Halal food for Muslims. Main rule is: don’t mix dairy with meat. In reality most young Israeli’s don’t care at all, but it is good to know when you are planning a trip to Israel. 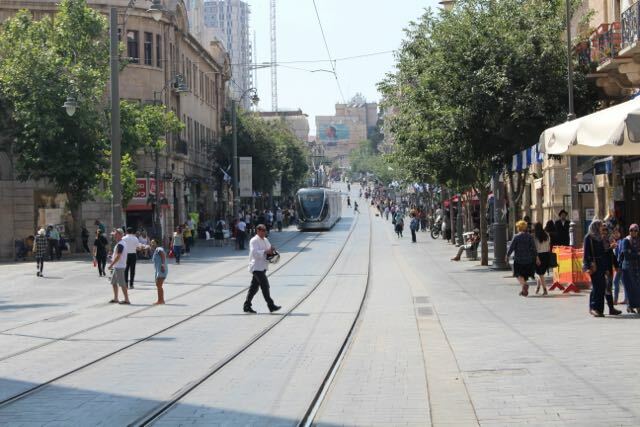 Living in Israel is unlike in any other country and some expats explained me that they really had to get used to some Israeli habits when they moved here. From your 18th almost everyone in Israel has to join the army for at least 2 years, boys and girls. I saw kids walking around with a big gun in their hand who looked half my age, but on the contrary also cute girls flirting with me in their uniform. The military service is compulsory but it will definitely form you as a person. Israeli’s have a getting things done mentality and can be super direct! Get used to it, this hands-on mentality is how they have been raised. 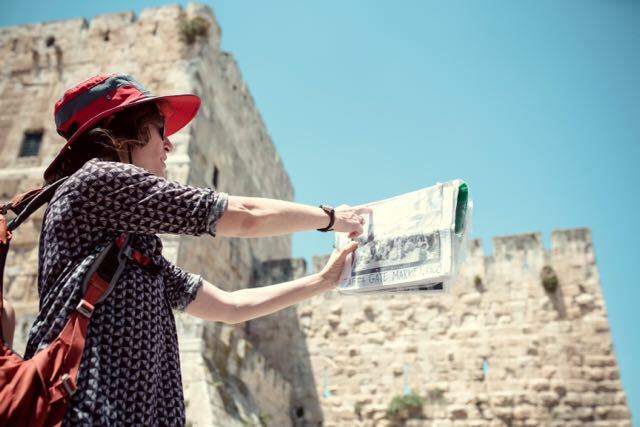 This is may be one of the most important things to know before you travel to Israel. Wow Israel you really surprised me with your price levels! I did not expect anything like this at all. 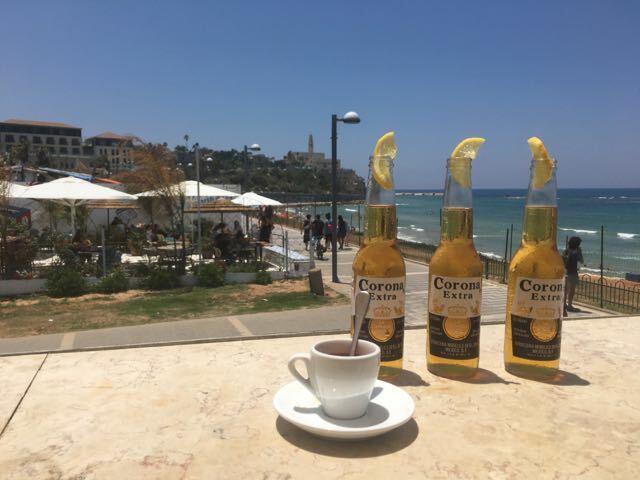 I just came from Sydney and was used to pay $7 for a beer, but a beer in Tel Aviv can easily cost $10. Damn it! Groceries are not cheap either. Apparently the salaries are not outrageous like in Australia so respect for those who are living here and have to deal with it. Streetfood $6 - $11, mid range hotel room $130, car rental $70 per day, meal at the beach $35. Damn I wish you were cheaper Israel! Unlike in many other countries I have traveled to Uber is non-existing. 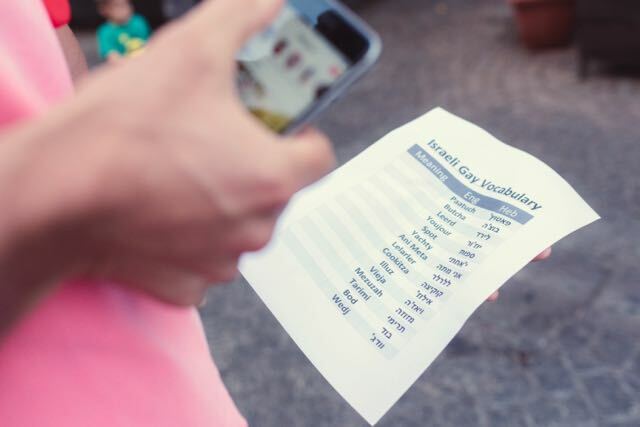 Instead you have to download Gett Taxi as that is the taxi app for Israel, cheaper than a normal taxi and the standard way of getting around in Tel Aviv. For long distance trips there are very comfortable busses, trains are comfortable but train stations are not centrally located. 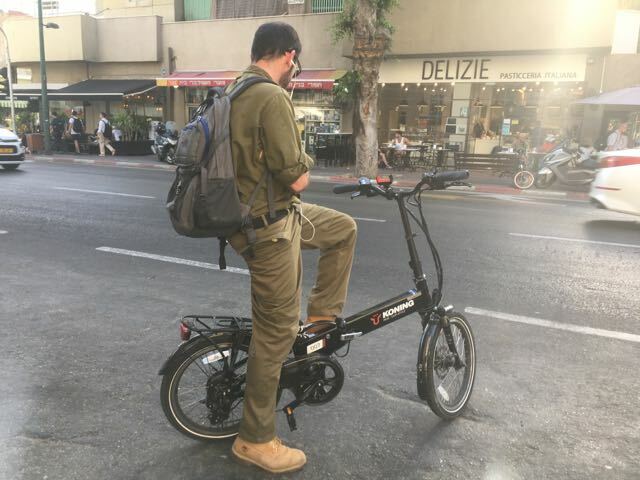 Another very common thing in the streets of Israel: an electric bike! The South of Israel is covered in sand, this is the playground of the Negev Desert. There is hardly any life possible and obviously there are not that many places of interest but there are some oasis’ and since I had never been to any of them it was cool to stay overnight at one of these places. 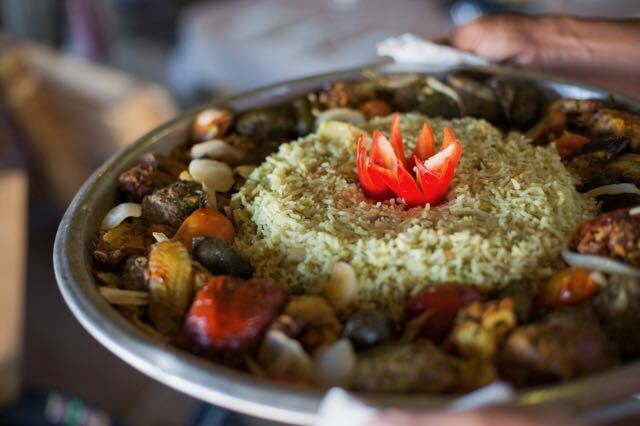 The Bedouin culture is still alive here and drinking tea and eating there the local food is a great experience. 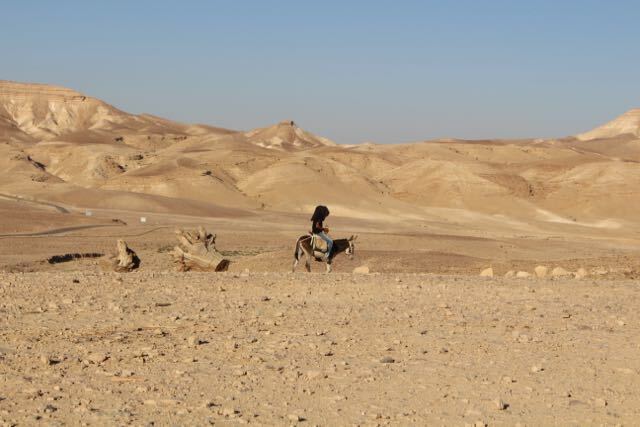 Want to experience this on your trip to Israel, the click here to find out more about Desert tours. 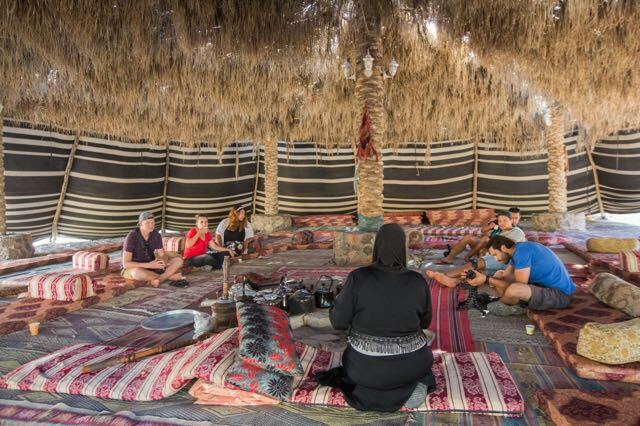 The desert can be fierce with temperatures touching 40 degrees during the day and getting as low as 10 degrees at night, but somehow this environment once a year lures 14,000 people to the middle of nowhere. Israel is home to the second biggest Burning Man festival after the original one in Nevada, USA. 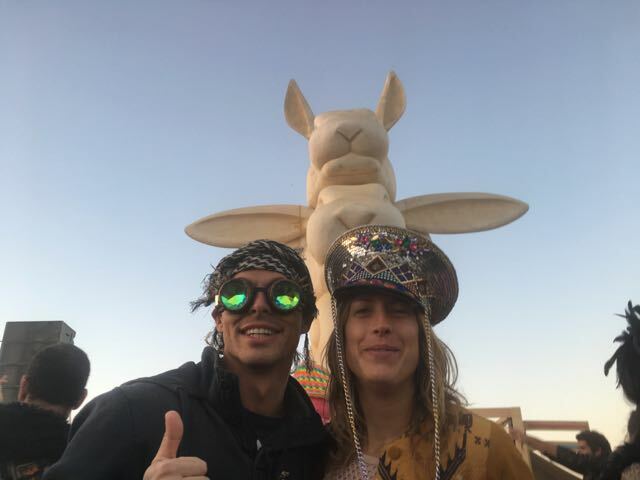 I was lucky enough to get tickets (with a foreign passport it is easy to get tickets for this sold-out festival) and to go wild in the desert for 4 days straight. Put this festival in your agenda when you are planning to to visit Israel. What an unbelievable experience, one of the most amazing festivals I have ever been to. It is like CrazyLand, everything imaginable is possible! People come to Burning Man to explore what is beyond their borders in terms of sexuality, drugs, meeting people, giving, taking, caring. I am not a virgin anymore, I am a Burner! Midburn I will be back… Read here more about how I experienced the 10 principles of Burning Man at Mid Burn. Don't tell people because of what Traveltomtom said about drugs was one of the reasons to visit Israel! I did not even name it in the list of 24 reasons, it was just an observation. Click on the link for way better reasons to travel to Israel. Tel Aviv is a beach destination and that means the city center is only footsteps away from the ocean. But before you walk to the beach make sure to ask someone where to go. This is one of those things to know before you travel to Israel or things can get awkward. LOL! A lot of beaches are specifically catered for a group of people whether religious, gay, families and even a beach where dogs are running around freely. Totally in line with the crazy contrasts in this country the gay beach is next to the religious beach. How to stay connected when you travel to Israel? Try a Teppy, a WiFi device that lets you connect to the internet without a contract. 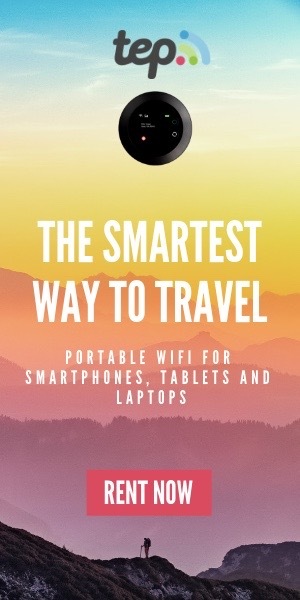 Click on the banner to read more about it and use the TEP Wireless coupon code TRAVELTOMTOM to get an extra 10% discount! Another option is to buy a Israel sim card, click here for a good offer and order a sim card for Israel online. 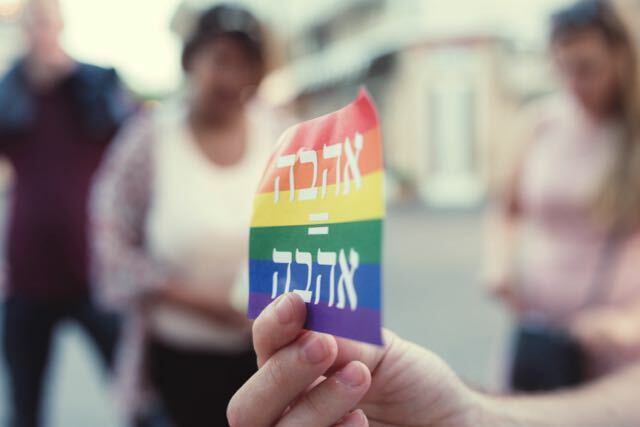 With all those gay people living in Tel Aviv it is no wonder that the city hosts the second biggest Gay Pride in the world. A massive parade will roam the city streets of Tel Aviv in the early morning and end up on the beach with a crazy party. Around 200.000 people witness the parade and party all day long. I was lucky to be part of it, although totally straight I loved it to bits and pieces, what an epic party! When possible try to squeeze this into your itinerary. There is also a Pride Week Package (including accommodation and parties) available with Abraham Tours. Check it out if you are interested. Keeping up with the contrasts lets talk about Jerusalem! One of the best Israel travel tips: Tel Aviv plays, Jerusalem prays. This city is a place you have never seen before. Why oh why did those religious people all chose this city to be holy? 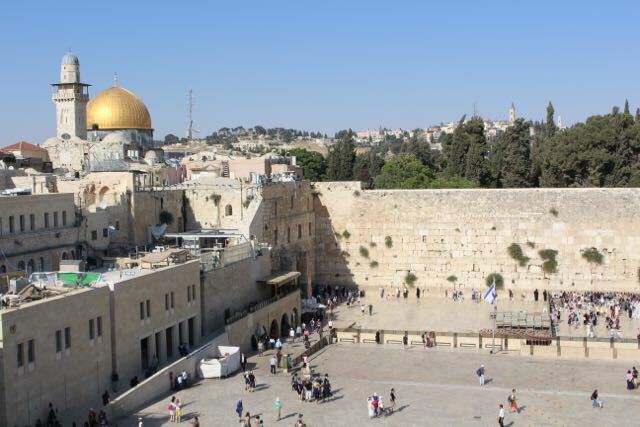 The Western Wall is the most holy place in the world for Jews, only a stone throw away from Jezus’ tomb for the Christians and the third most holy place for Muslims is just across the street. Damn it can you make it even more complicated? Walking around here as a non-religious tourist you will definitely feel the Holy Spirit. After a day strolling through the spectacular old city I ended up in a gay bar, can there be any more contrasts? There are also Jerusalem day-tours from Tel Aviv, 3 and 4 day tours including Jerusalem and Dead Sea and many more. We all know about the highest point on earth, but not that many people realize that the Dead Sea on the border of Israel and Jordan is the lowest point on earth; a crazy landscape to discover and for sure worth the drive downhill. 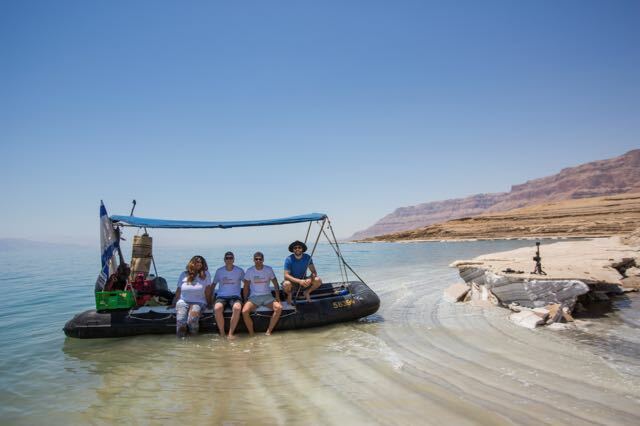 Enjoy the spectacular views from up top or jump in the only boat that drives on the Dead Sea apart from a research vessel. How to arrange this boat ride on the Dead Sea? Click here to get connected with Abraham Hostels as they are the unique seller of this tour. I was lucky enough to be chosen by Vibe Israel to join their yearly returning travel blogging trip and therefore most of my trip to Israel was planned for me. I wish though I had known a couple things before I traveled to Israel and therefore I hope this list was helpful to you. I sincerely hope you will consider this country to be your next destination and that my blogs about this controversial country convinced you that it is an amazing place to travel and to experience its great contrasts. 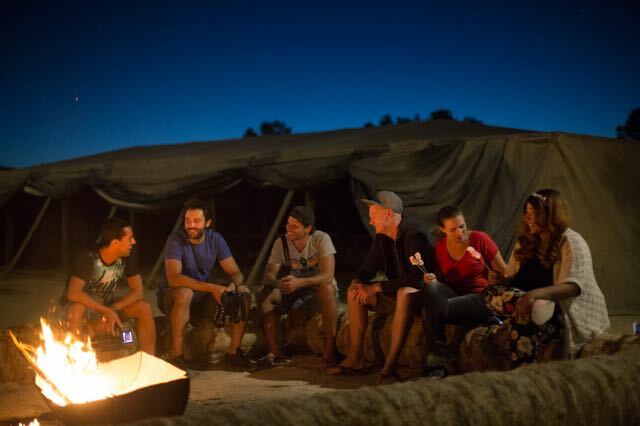 In the next link you will find unusual things to do in Israel, not just the standard stuff but some epic adventures like zip lining, rappeling, ATV trips, a hot air balloon ride and more. In my 24 reasons to visit Israel I summed up a whole list of why you shoudl visit this country if you are still not convinced.